When you enter Hornsund, then you will soon have Gåshamna on your stardboard side, as it is on the southern side of the fjord. If “Goose bay”, as it translates, refers to geese that may have been present when the place got its name, a ship, the Dutch town Goes or an Austrian count Goess from the 19th century – the first time the name appeared was on an Austrian map, drawn by Sterneck and published in 1874 – is not known anymore. But what is well known is that Gåshamna provides reasonably good anchorage just under the coast and often enough protection from the strong east-westerly winds that are so frequent in Hornsund to allow landings in conditions that make other places just impossible. Already the whalers knew that and established their stations in the early 17th century on both sides of the bay. 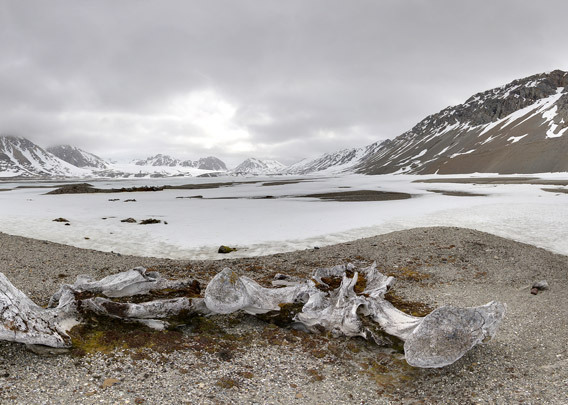 They hunted „Right whales“, which we know as Bowhead whales today, and left their impressive bones in large numbers bleaching for centuries under midnight sun and polar night. Exactly as you can see them today if you get there. These panoramas shows the western side of the bay Gåshamna. A Norwegian trapper built a hut in the early 20th century on the site of one of the 17th century blubber ovens. Today, this disturbance of a cultural heritage site would be completely illegal and impossible. 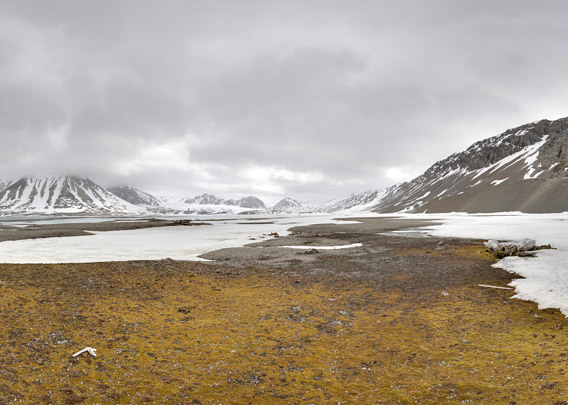 Back then, it was just a convenient site, thus providing us with a pretty unique combination of remains from different periods of Spitsbergen’s history.